China and Vietnam have expressed support for Thailand's new military government, an army spokesman said on Wednesday, as pro-army supporters held a small gathering at the Australian Embassy in protest against downgrading of relations after last month's coup. - from Reuters reporters: Alan Raybould and Raju Gopalakrishnan. 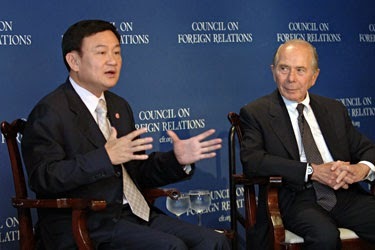 Photo: Deposed autocrat, Thaksin Shinawatra before the CFR on the eve of the 2006 military coup that would oust him from power. 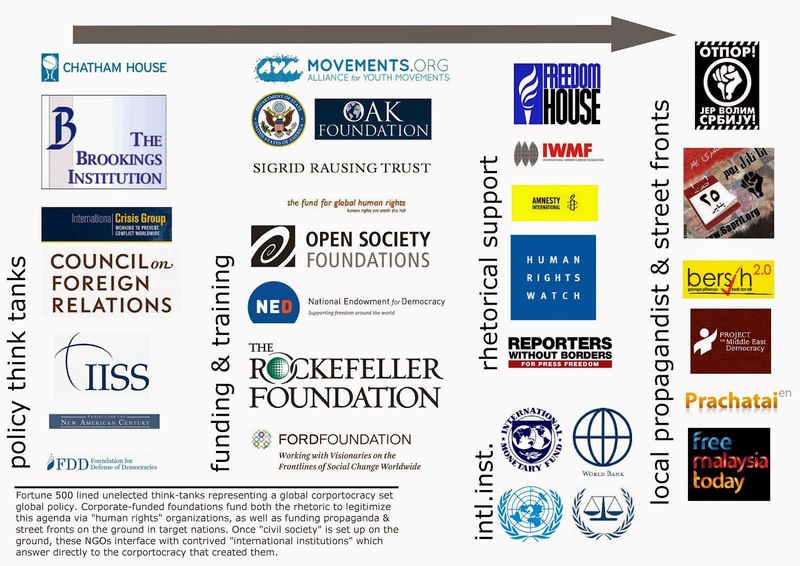 Since 2006 he has had the full, unflinching support of Washington, Wall Street and their immense propaganda machine in his bid to seize back power. Several foreign governments have voiced disapproval of the coup, which saw General Prayuth Chan-ocha take power after months of political unrest that undermined the government of Yingluck Shinawatra. "China's and Vietnam's ambassadors to Thailand met Supreme Commander General Thanasak Patimaprakorn yesterday and assured us that they still have a good relationship with Thailand and that they hope the situation will return to normal quickly," Yongyuth Mayalarp, a spokesman for the military's National Council for Peace and Order, told reporters. Myanmar's foreign affairs ministry said it recognised Thailand's new military rulers. "Thailand is a sovereign state and the military government has been endorsed by their king," Aung Linn, a director-general at Myanmar's foreign affairs ministry, told Reuters on Wednesday. "Of course we do recognise them." China's foreign ministry had no immediate response to the report. 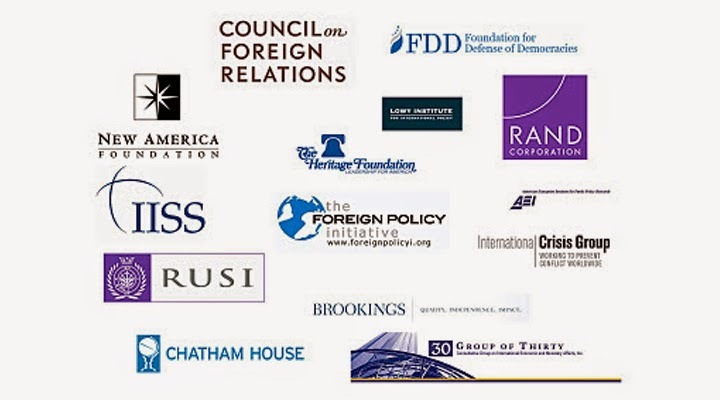 The Empire controlled United States scrapped joint military programmes with Thailand days after the May 22 coup while the Empire Jesuits controlled European Union has urged the military to free political detainees and end censorship. Australia, a colony of the British Monarchy (figurehead of the Crown) downgraded its ties with Thailand on Saturday, imposed a travel ban on junta leaders and cut defence cooperation, the toughest measures taken by a foreign government since the change of regime. A handful of pro-military demonstrators gathered outside the Australian Embassy on Wednesday to protest against what they see as foreign meddling in Thailand's internal affairs. Some handed roses to police guarding the embassy. The coup was the latest convulsion in a decade-long conflict between the Bangkok-based royalist establishment, dominated by the military, old-money families and the bureaucracy, and supporters of Yingluck and her brother, Thaksin Shinawatra, who are adored by the poor in the north and northeast. The army is determined to silence dissent and has summoned pro-western propaganda around 300 activists, journalists, academics and politicians since taking power two weeks ago. Many have been detained for varying periods of time and, in order to be released, have had to sign statements that they will step away from politics and halt anti-coup activities. The junta has deployed thousands of security forces across the country to search for weapons in a bid to crack down on armed groups on both sides of the political divide. It has ordered Thais who have "war weapons", including explosives and grenade launchers, to hand them in before June 10. The order did not include registered handguns. On a per capita basis, Thailand has more guns than most countries in the world. However, the country in general has remained calm since the bloodless coup. There is little military presence on the streets and resistance to military rule has so far been peaceful. In May, Thailand's consumer confidence index hit its highest level since January on hopes the military can bring the economy back from the brink of recession. The economy shrank 2.1 percent in the first quarter as political turmoil depressed demand. The junta lifted a curfew on Tuesday in the resorts of Pattaya, Phuket and Samui, in order to "relieve areas that are peaceful and free from political protests" and to support Thailand's vital tourism sector. The midnight to 4 a.m. curfew has not been lifted in Bangkok but the junta seems determined to win over hearts and minds in the capital. Supporters of the military are trying to hijack a gesture used by demonstrators opposed to the coup, saying the three-fingered salute signifies the ills of the deposed government, and not resistance to the takeover. The salute, inspired by the hit film "The Hunger Games", has been flashed as a symbol of defiance at street protests in Bangkok since the weekend. The military has warned demonstrators against making the salute. Security forces detained at least seven people who joined flash mob protests over the weekend and held up three fingers against the junta, according to the ruling National Council for Peace and Order. "We are monitoring those who use this signal but have no plans to ban it yet," deputy army spokesman Winthai Suvaree told Reuters. "But if there are gatherings of five people or more doing this salute, then we will make arrests in some cases." In its latest charm offensive, the army is putting on a concert on Wednesday evening at Victory Monument, one of Bangkok's busiest junctions and briefly the focus of protests after the coup. "We want to show the public that the military is here to protect the people and will do its utmost to ensure stability," Winthai said. "Soldiers are friends not foes."